You guys (and Lisa) are awesome! 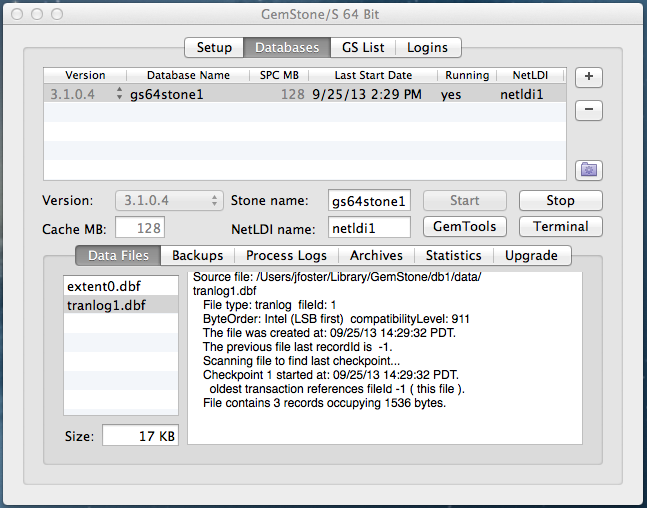 GbsError ‘GbsHostErrCantSpawn – Unable to create a GemStone session. Perhaps this is the wrong place to complain about that. Welcome to GemStone/S! To learn about the mailing list and other options for community support look here. The specific error you got indicates that the client is attempting to connect on port 50377 and there is not a NetLDI at that port. You need to look at the way you are starting your NetLDI. 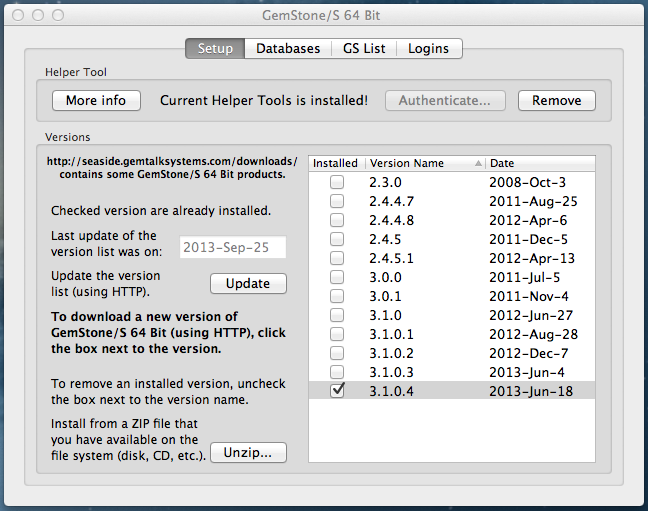 If you are using the GemStone.app on the Mac, then you could look at the ‘GS List’ tab to see which port the NetLDI is using. Alternatively, you could replace the NetLDI name field with 50377. Once you do that the client should be able to connect to the NetLDI. The next error is likely to be related to the fact that GBS is not available on the no-cost (“GLASS” or Seaside) license. 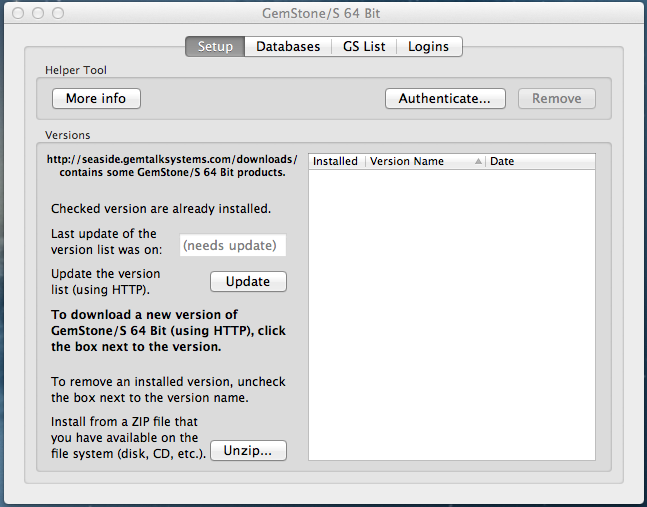 For that you need to use Topaz, GemTools, tODE, Jade (Windows only), or WebTools.